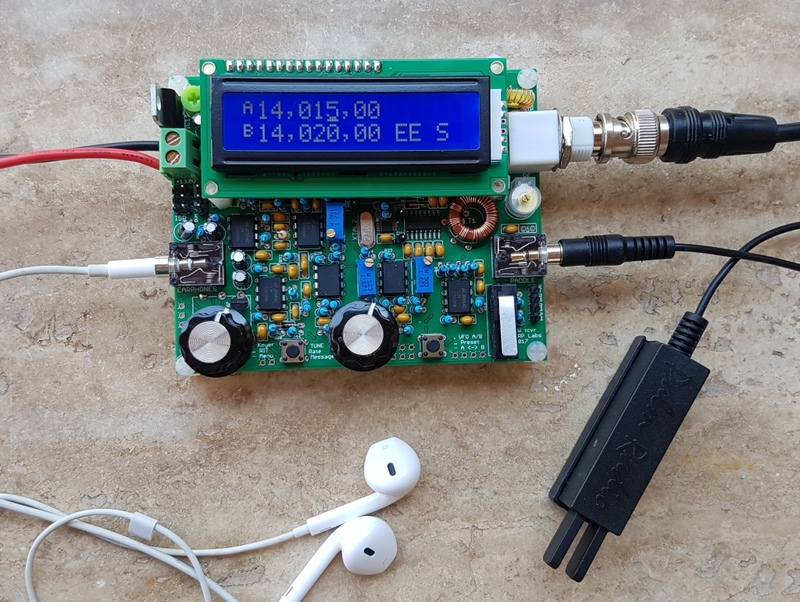 QRP Labs is proud to announce the launch (if you haven't heard this already) of a new kit, the "QCX": QRP Labs CW Transceiver. 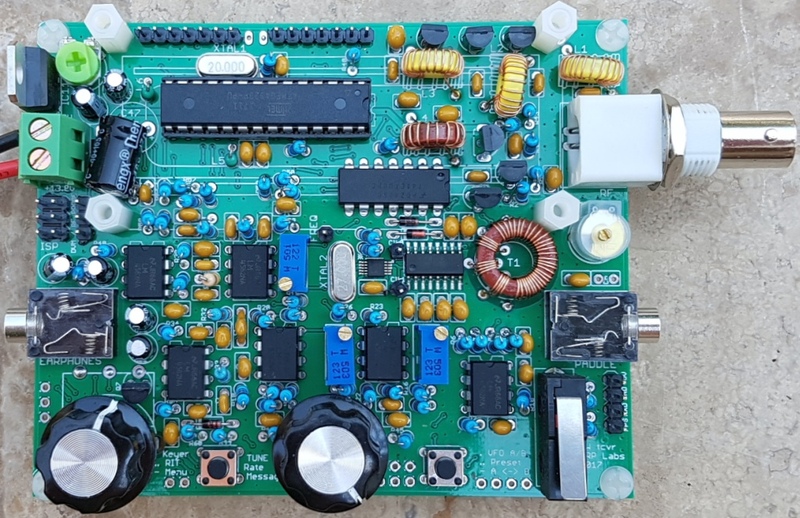 This is a mono-band 5W CW transceiver, with a along list of features including rotary-encoder-turned synthesised VFO, Iambic keyer, CW decoder, and a WSPR beacon mode. It is available in 80, 60, 40, 30, 20 and 17m options, priced only $49. My favourite feature is the built-in test equipment (BITE) that is used for aligning and debugging the transceiver, making it possible to build and adjust this radio with literally NO other test equipment! The picture top right shows the Band Pass Filter peaking adjustment tool; below right is the Frequency Counter of the Built In Test Equipment, measuring the test equipment's Signal Generator. The kit was launched on Monday 21-Aug-2017 at 0900Z and all 320 available kits were sold out in a little over 24 hours. We are now taking pre-orders for the next batch of 500 kits currently being manufactured, and expected to start shipping in mid-September. It's interesting to look at some statistics of the orders so far. These statistics are based only on the orders taken since 21-Aug-2017 0900Z, they exclude the Friedrichshafen hamfest pre-orders. The five countries are USA (44%), Germany (14%), UK (13%), Australia (4%) and Canada (3%). 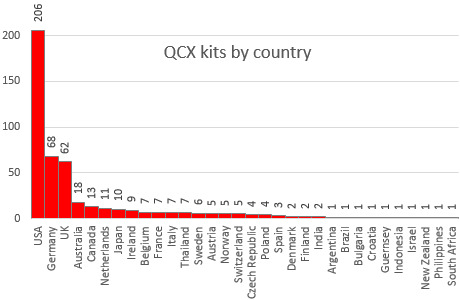 The kit has so far been ordered by 32 countries (Post Office countries, not DXCC which would be more!). The most popular band is 40m at 42% of orders, followed by 20m (31%) and 30m (15%). 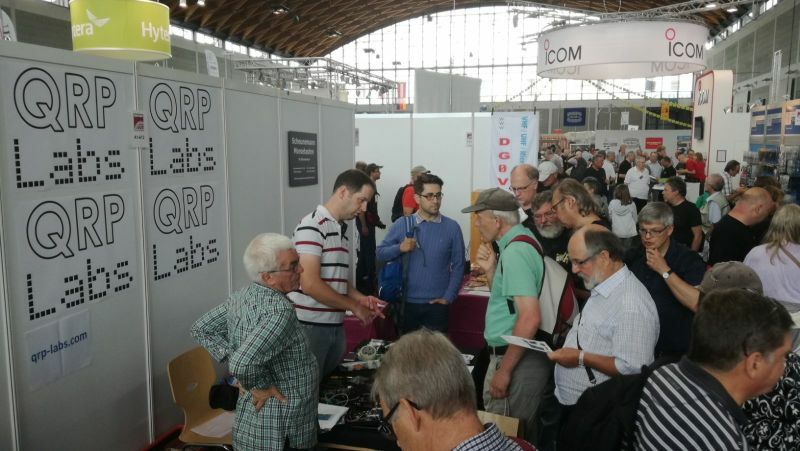 QRP Labs exhibited at Friedrichsafen International Amateur Radio Exhibition, the largest ham fair in Europe, from 14-16th July 2017. 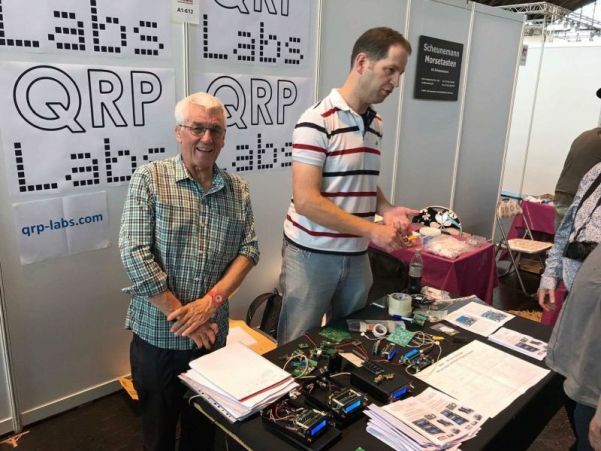 There was a continuous crowd around the QRP Labs booth and it was very nice to meet so many QRP Labbers, as well as recruit some new ones! A variety of QRP Labs kits were demonstrated on the table, and available for purchase. But the main highlight for most visitors was the pre-production prototype of the new CW transceiver kit. I explained and demonstrated its features so many times over and over that I had a sore throat before lunchtime on the first day. The QRP Labs humble table was right opposite Kenwood's large impressive display. Early in the morning of the second day, before the exhibition was open to the public, a nice gentleman from the Kenwood booth came over. He asked what's all the fuss about, you always have a crowd over here. I said, take a seat, and I demonstrated to him the new CW transceiver. He pre-ordered one! 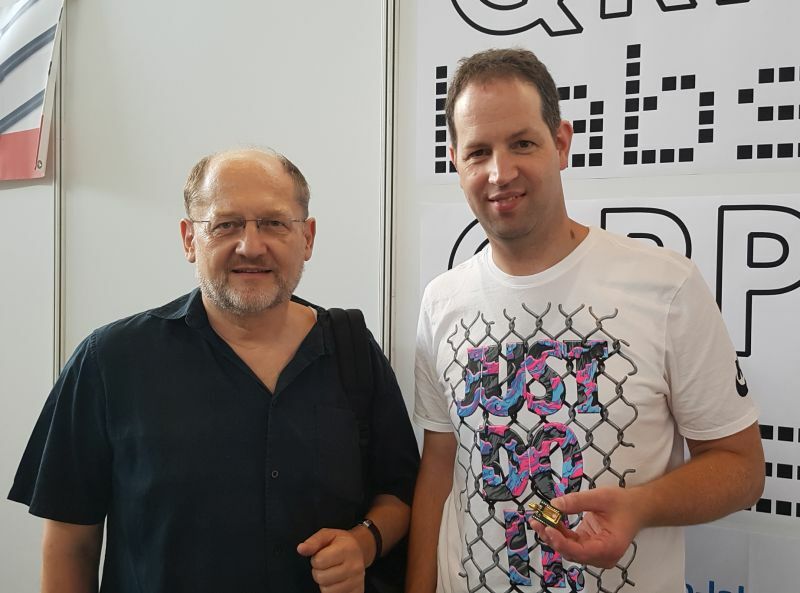 I met Klaus DJ7OO and recognised his callsign immediately. The component values of the 600m and 2200m Low Pass Filters in the QRP Labs LPF kit range are from a design by Klaus, published in the RSGB LF book. So I gave him one of the 600m kits to celebrate our meeting (see photo, below left). Finally, I was presented with a beautiful 27MHz TCXO version of the QRP Labs Synth kit. His PCB design uses all surface mount components for the voltage regulator and I2C bus level converter, and has the same pinout as the QRP Labs module. 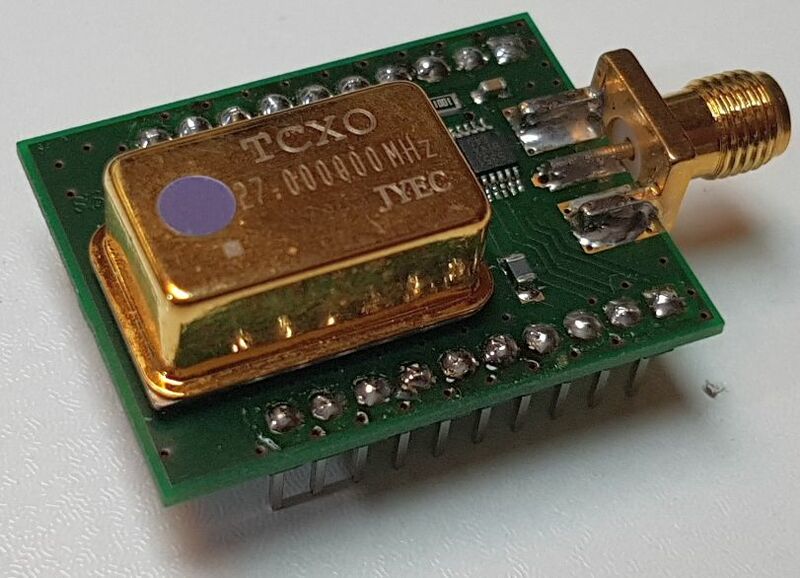 The photograph (right) does not do justice to the beauty of the gold-coloured SMA and 27MHz TCXO! BUT... in the chaos, I have lost the paper where I wrote down the name and call of this gentleman! We have a photo (below right) - I would love to know, who IS this man? Are you reading this? Can anyone tell me? The YOTA 2017 summer camp was hosted by the RSGB in UK at the beginning of August. 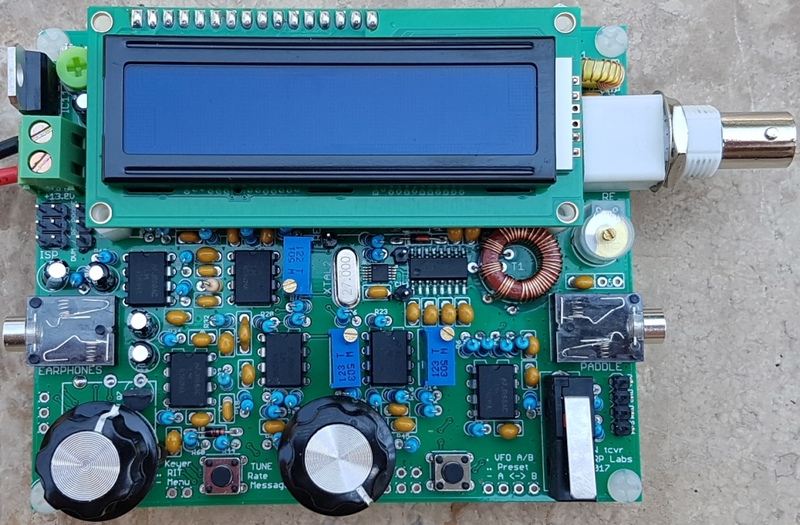 QRP Labs provided 90 of the new QCX CW transceiver kits for the buildathon, the 17m version (well it is the YOTA 2017 summer camp, after all... 17 being the year). The version to the right is the 30m version, pictured with the Palm Radio Pico-keyer. YOTA 2017 was the original motivator to design the new QCX CW transceiver kit! It all started with an email from the YOTA 2017 project team at the end of February, looking for proposals for a kit for the buildathon. Initially seeing the ridiculously low budget just made me chuckle while I hit the delete key... but later that fateful day, as well as later all that night, my mind kept coming back to it... what if... what if, what if it was possible to design something really serious and fantastic, and keep it within that budget, for cost at least... and that's how the QCX story all began, 6 months ago today! Apparently the young people (aged 15 to 25) attending the YOTA 2017 summer camp from around Europe (and Japan) greatly enjoyed building the QCX and quite a few were successfully completed within the limited time available. First to complete his kit and have a QSO was Peter M0SWN, and you can see him operating the kit in an RSGB video on YouTube - see the QRP Labs QCX page http://www.qrp-labs.com/qcx and scroll down to the bottom. 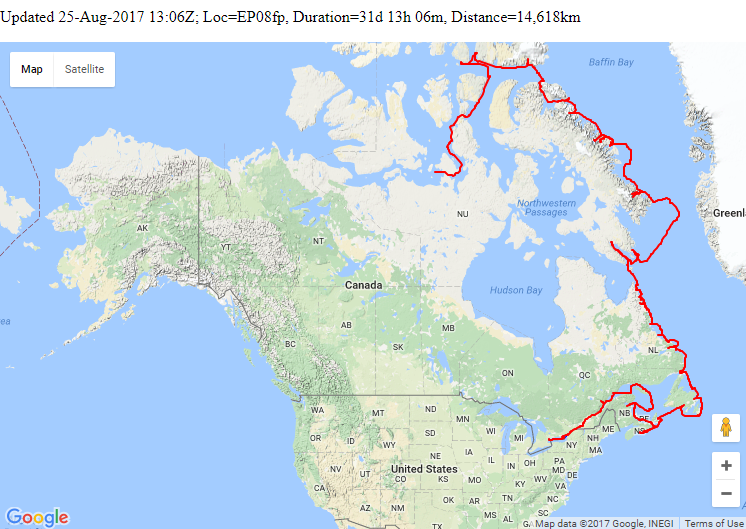 The map below shows the tracked path to date. It is being reported on WSPR thousands of times every day. It continues to operate reliably day after day, without any intervention. 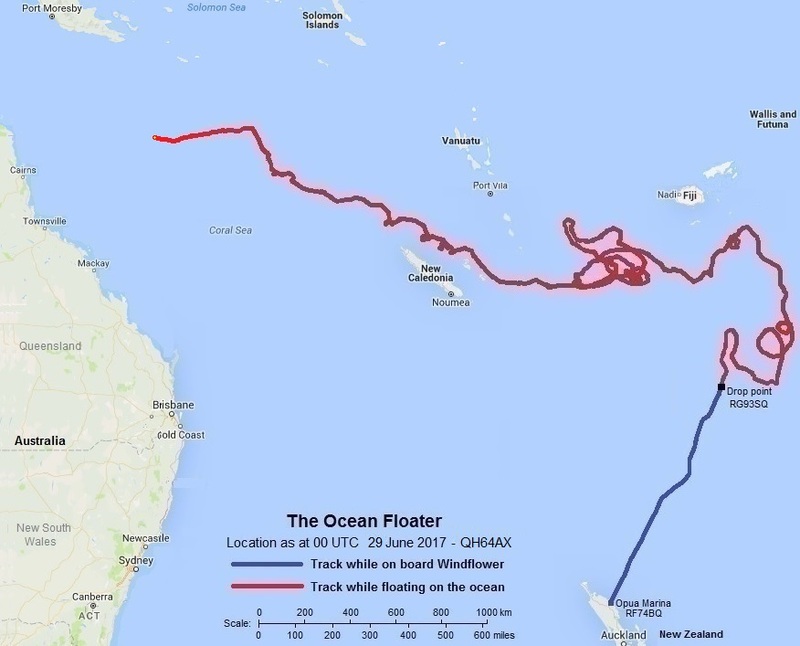 The amazing ocean floater project is now over! Bob ZL1RS reports that on 29th June 2017 the battery voltage went into a rapid decline. The controller is programmed to shut down when the battery voltage falls below a threshold of 1.2V. The last transmission set (WSPR + 2 x JT9) was at 14:04 to 14:08 UTC. The final transmitted position was QH54WX. Ocean Floater had been at see for 407 days. 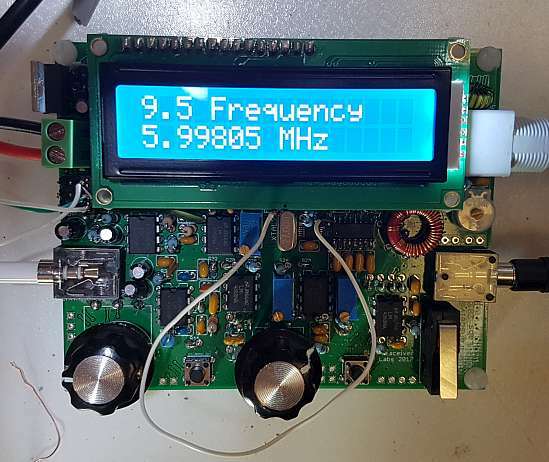 Bob's project was based on the Ultimate3S transmitter and transmited WSPR and JT9 once per hour. The battery pack consisted of 18 alkaline D-cell batteries. Congratulations again to Bob for a truly amazing and inspiring project, executed with absolute perfection! 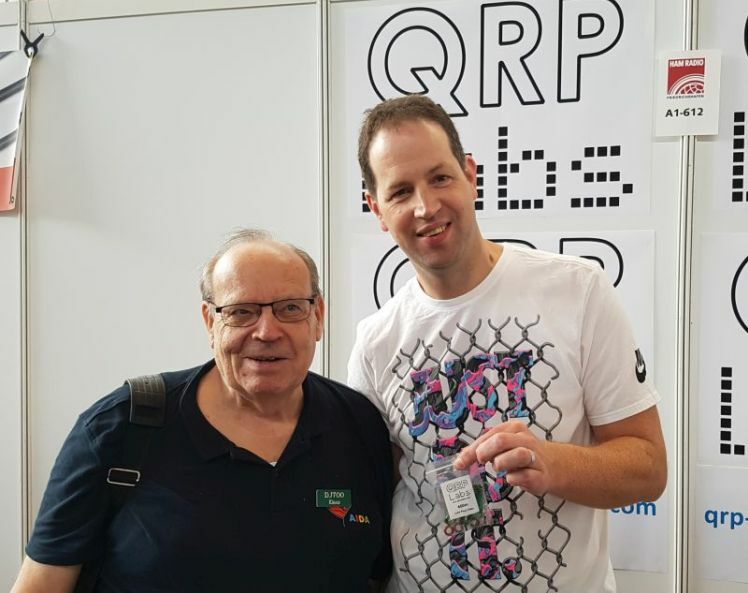 There have been lots of balloon flights flying QRP Labs products since the last newsletter! 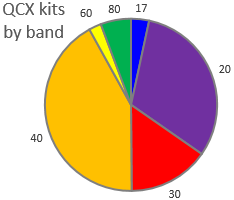 But my attention has been so taken up with the new QCX CW transceiver kit that I have not been keeping up to date with what Dave VE3KCL, Jim N2NXZ and others are up to. Most of the flights are tracked on the QRP Labs flight pages see http://qrp-labs.com/flights. I won't write more about it this time, and anyway this newsletter has already become long enough. So, next month!